Possible to record "live(raw)" RF signal in the field and play-back the recorded data in your laboratory. Frequency range: 30MHz to 1002MHz. 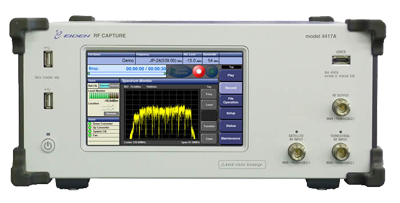 Possible to record "live(raw)" RF signal in the field and play-back the recorded data in your laboratory. Frequency range: 30MHz to 3GHz. 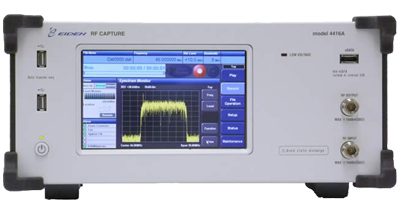 Compact and low cost type of RF Capture & Player. RF Capture & Player corresponding to 4 diversity. Possible to record and playback 4 RF signals simultaneously in 1 unit.